In a shaded spot in the garden, surrounded by the smells of flowers in full flush, you’re relaxing in the sun, indulging in your favorite hobby. You’re in your summer house, away from the worries of the world…and you’re in your zone. 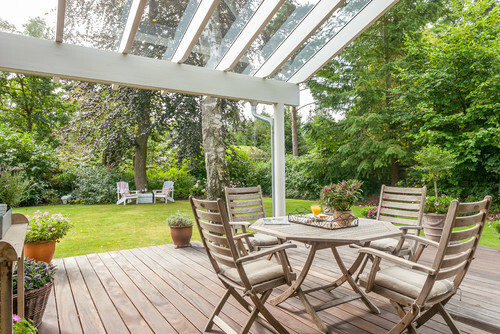 A summer house (or garden room) is a small permanent structure away from the house, where you can enjoy summer’s greatest pleasures, regardless of the weather. It’s an antidote to a busy house or open-plan style homes, a place you can retreat to for a little ‘you-time’. You can turn your summer house into a gym, home office, teenage den, music or art studio, or hobby room. It’s your adult playhouse–use it any way you want! Summer houses are usually built quickly, and won’t cause much disturbance as they’re being put together. Like the best things in life, they come in all shapes and sizes; but make sure your garden room has floor, wall, and roof for those chilly late summer nights. Many people incorporate underfloor heating (or portable radiators) and air conditioning units, so they can use their garden room year-round. Most garden rooms have options for sockets and interior/exterior lighting, and can include audio-visual and data cables so it can be used as a TV room or internet-wired office. Some even have small toilets, showers, and kitchenettes. Where you place your summer house is really important. Find a secluded place in the garden where you can have a little privacy (it will take up the least amount of space at the very back of your garden). Create a little walkway to mark the steps out to your summer house: this will make the small journey between your home and garden room feel magical. 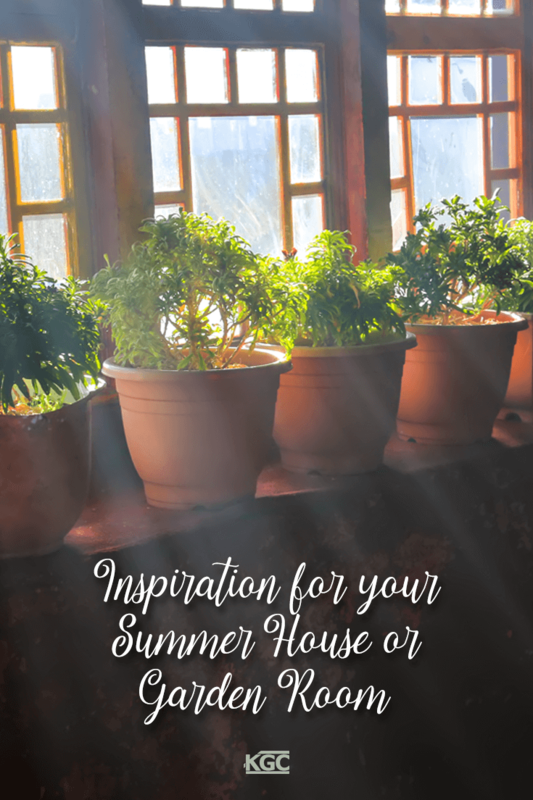 Summer house styling and decor can be fun, relaxing, elegant, vintage―unleash your creative style (the way you probably wouldn’t dare in your house). There are no wrong choices here: it’s whatever makes the space yours. 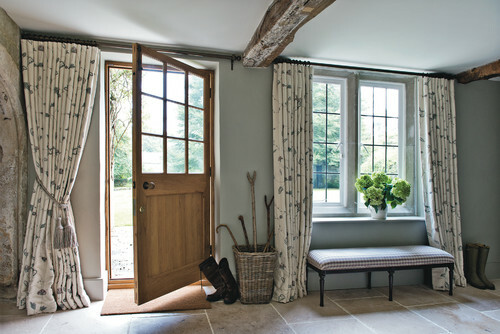 Timeless and inspirational, English Country House decor features traditional furniture and rooms full of color. Find floral patterns to embolden rich color schemes inspired by nature: the pinks and yellows of flowers, and the greens and blues of the hills and sky. 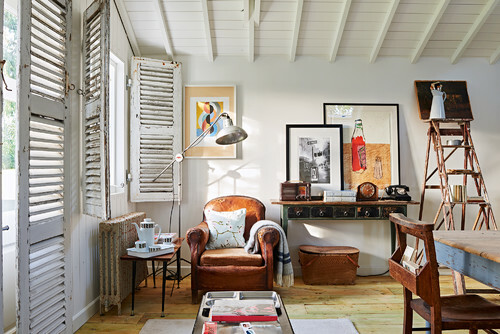 Add rich fabrics and eccentric accessories to create a space that exudes the warmth and comfort of a lived-in room. Tip: Source rustic furniture or upcycle bargains from garage sales. 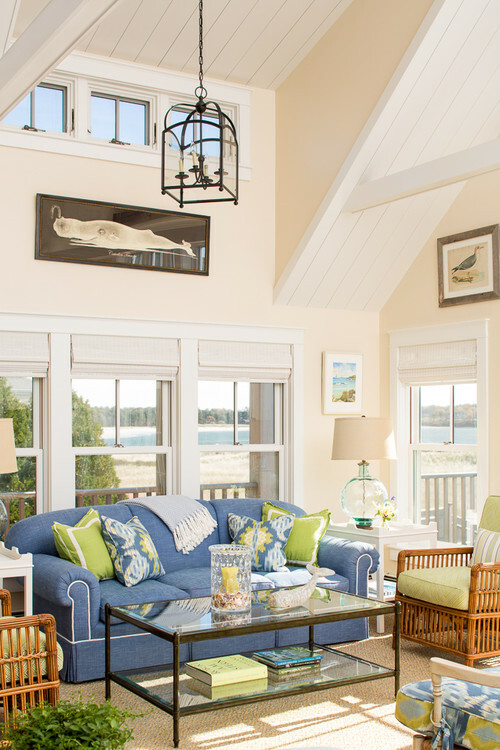 The Seaside Cottage look is cozy and inviting, and can be formal or quirky. Wooden furniture, muted shades, soft neutral furnishings, and nautical stripes will enhance the look. Use the weathered paint look on furniture: the beach look looks faded but never old. White walls on the interior will leave you space to add contrasting accents of color. Don’t forget the accessories: thick blankets, seaside-inspired knick-knacks, and soft lighting. Tip: Add character and set the mood with an old lighthouse decoration, a rope anchor, and wicker furniture. 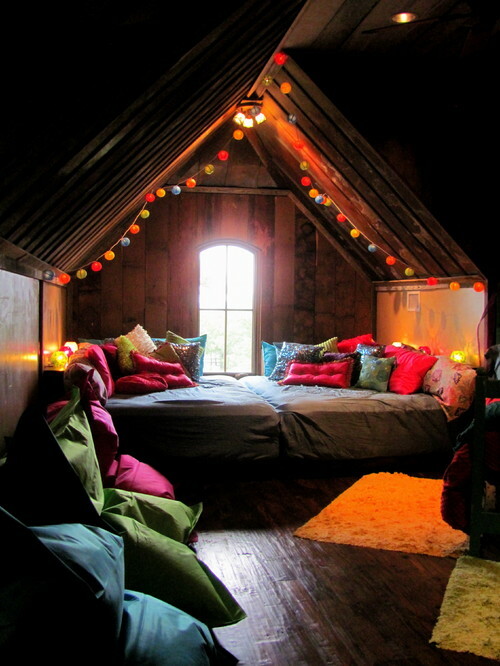 Transform your garden room into a teenage dream room. It’s more about what’s in it than what it looks like: give them comfy sofas (or a hanging chair! ), tons of fluffy cushions, vibrant wall colors, amusing accessories (are lava lamps making a comeback? ), a mini-fridge, and a wireless speaker. Tip: Swap some of your old furnishings and accessories with another family’s who have children the same age. You can make your garden room into a comfortable and creative area for work. For a classy but relaxed look, go for simple, clean lines, a neutral color scheme, dark furniture, and a pop of color with accessories. Think soft greys, dark browns, and white walls. Most of all, make the space comfortable to sit in: you want to be productive in this space, so don’t spare the expense to create a vibrant home office. Tip: Make the decor different from your home: this way, you’ll feel mentally that you’re walking away from your house and into your work zone. Go zen with a minimalist look with a calming neutral color palette. Keep your decorations simple and clean, and try to let the garden room blend in with its environment. Add plush white or neutral furnishings, lime-green plants, warm lighting, and Scandi-style furniture for ultimate relaxation. Tip: Add scented candles, thin curtains, and a wireless speaker to create that ultimate peaceful atmosphere. Shabby chic is the way to go for the artistic types. Transform old furniture with a lick of paint, find rattan and wooden chairs, choose a color palette that mirrors the colors of your garden flowers, and add plenty of odd accessories that will make your art or music studio a delight to spend time in. Use a mixture of furniture styles and bold, and vivid colors for your walls and accessories. Tip: Find (and upcycle) one-of-a-kind and antique decorative items from garage sales, auctions, or second-hand stores. Create a fun ‘lazy lunch’ decked area where your guests can sit and enjoy a summer feast. Make it a space everyone will love by keeping the color scheme neutral and just adding small but elegant accessories like candle-holders, natural-fabric rugs, potted flowers, and fun accessories like vintage milk jugs or antique vases. Tip: Keep the decor to a minimum, which will make it easier to clean and upkeep if you have several guests one after the other. 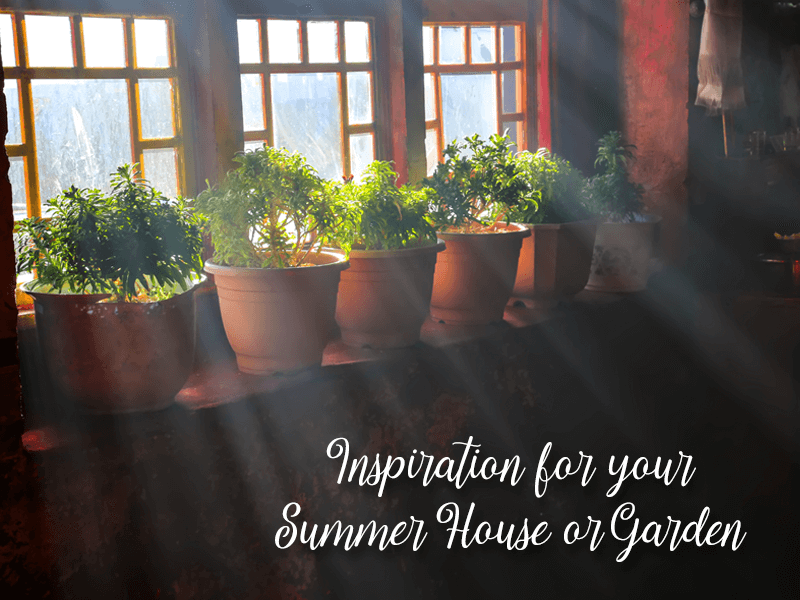 With all these possibilities, you can transform your garden into a true retreat for yourself, your family, or your guests. Cost-effective, versatile, and quickly erected, a summer garden is the perfect place to let yourself be you. With a wealth of building experience, Keith Green Construction can guide you on the best options for your garden room or summer house. Contact us today!